A version of this graphic saw use in Cardenas, K. and Kelly, P.F. “Shifting Urban Contours: Understanding a World of Growing and Shrinking Cities.” in A. Bain and L. Peake (eds.) (2017). Urbanization in a Global Context: Canadian Perspectives. Oxford: Oxford University Press. 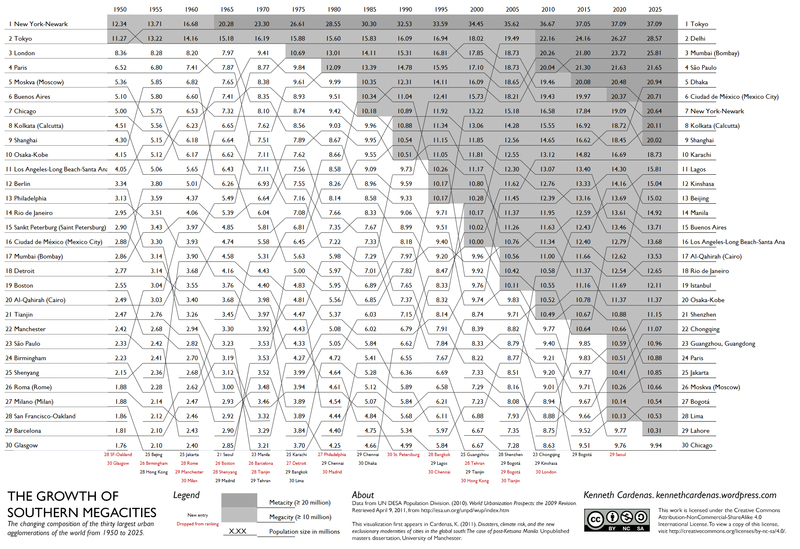 The changing composition of the thirty largest urban agglomerations of the world from 1950 to 2025.